The Microchip Technology Inc. MCP6291/1R/2/3/4/5 family of operational amplifiers (op amps) provide wide bandwidth for the current. This family has a 10 MHz Gain Bandwidth Product (GBWP) and a 65° phase margin. This family also operates from a single supply voltage as low as 2.4V, while drawing 1 mA (typical) quiescent current. Additionally, the MCP6291/1R/2/3/4/5 supports rail-to-rail input and output swing, with a common mode input voltage range of VDD + 300mV to VSS – 300 mV. This family of operational amplifiers is designed with Microchip’s advanced CMOS process. 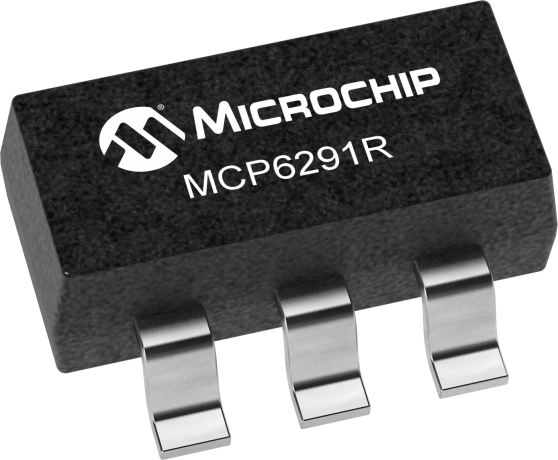 The MCP6293/5 have a Chip Select (CS) input for single/dual op amps. The CS input puts the device in Low-power mode. The MCP6291/1R/2/3/4/5 family operates over the Extended Temperature Range of -40°C to +125°C.